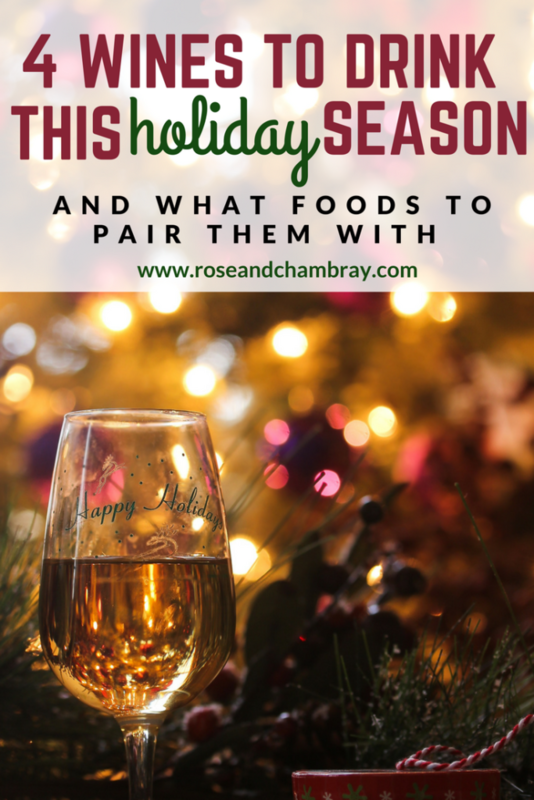 It’s holiday season, and that means good food and good wine! Because what are the holidays if you don’t drink so much wine that your mouth changes colors? I’m always the one in my family who decides what’s on the menu and drink list for Thanksgiving and Christmas. Every year I make a really yummy classic sangria (I’ll share the recipe here soon) that everyone sips on prior to and after dinner, and during the meal we have a few options of wine to choose from. Since there are usually so many different dishes and tastes to please, I like to pick wines that are easily drinkable and pair well with a variety of foods. I always recommend having a mix of red and white wines to make sure there is something for everyone! This year Doug and I are staying back in LA to celebrate the holidays with each other (because ain’t no body got time for holiday airline prices), but I’m still the designated menu planner (duh)! 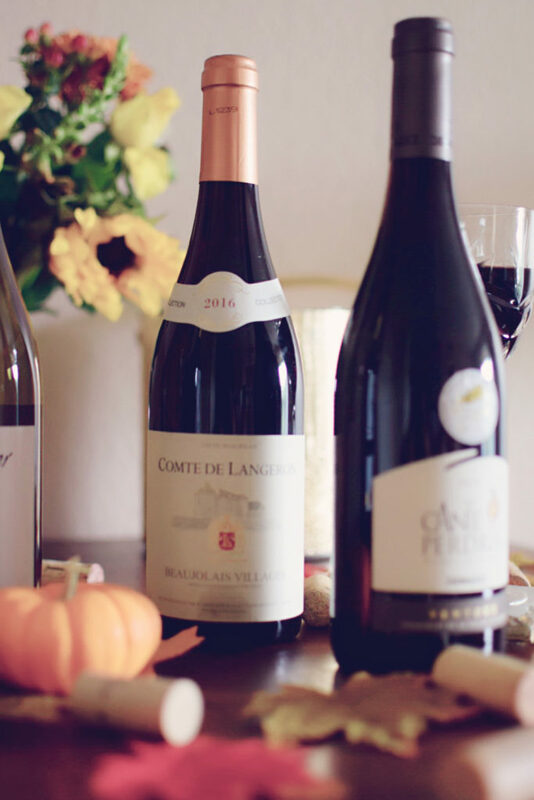 I’ve gotten several questions about what wines are best to drink during Thanksgiving and Christmas, so I’m sharing 4 wines that will be on my table + what to pair them with (3 reds and 1 white)! 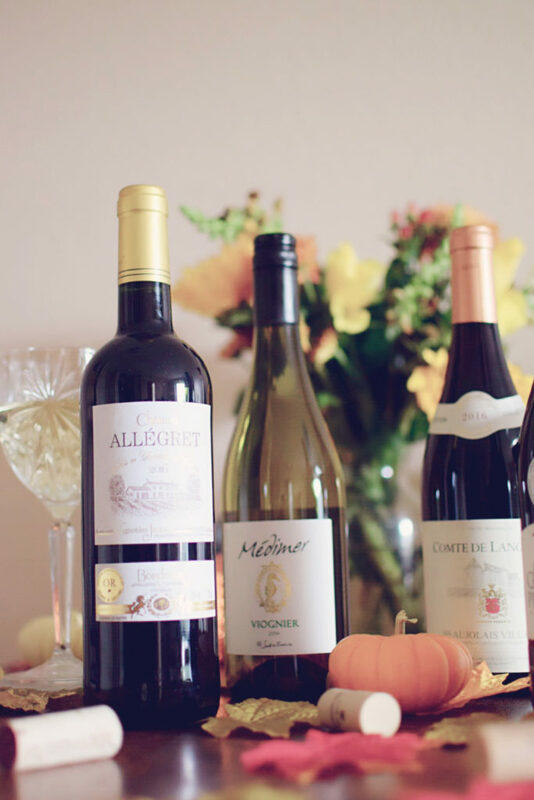 All of these wines are from my November Wine Awesomeness box (get your first month for %50 off with this link #bless), but I’ll also list other places you can find them below. Pro tip: hijack the convo with your new-found wine speak if things get awkward or someone brings up politics at the dinner table! Viognier (pronounced vee-ohn-yay) wines are full bodied, aromatic white wines originally produced in the Norther Rhone Valley of Southern France. These wines have a soft and luxurious mouth feel (kinda like drinking milk or egg nog), with low acidity and high alcohol content. It’s known for its peachy and floral smell, and is almost always dry on the palette. 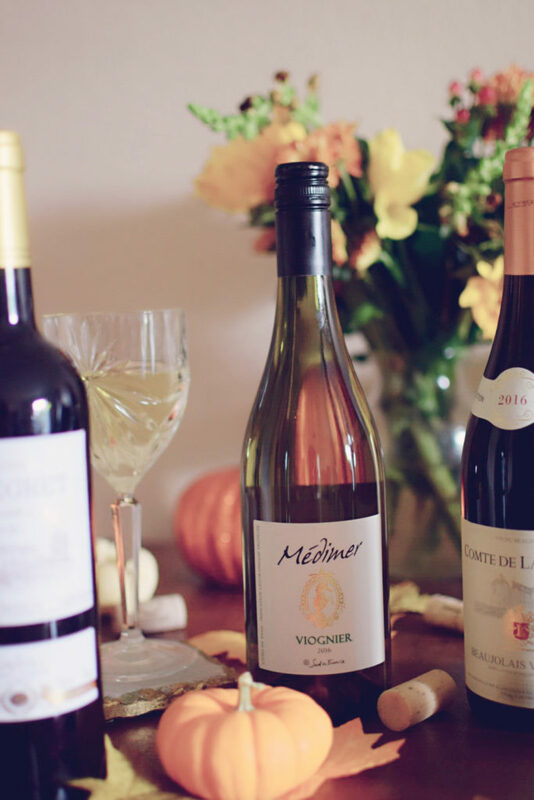 This wine is most similar to a Chardonnay and Grenache Blanc (read more about this grape here) , and is the perfect white wine to cozy up with on a chilly fall or winter night! Don’t judge me if you see me with a bottle of Viognier and a bowl of mashed potatoes in hand this Thanksgiving, ok? I tasted a delicious Beaujolais Nouveau (bo-zhuh-ley new-voh) in my WSET Level 2 class way back, so I’m excited to try it’s more sophisticated older sister Beaujolais Villages this holiday season! This wine is made 100% from Gamay, which is a light to medium bodied red wine with high acidity, low tannin (so it won’t dry your mouth out), and lots of red fruit. This youthful wine is very similar to a Pinot Noir (the equivalent to an Arbor Red in Game of Thrones), but can be found at much lower price points! It’s like the wine version of a cherry Coke minus all the sugar, so everyone will be happy. 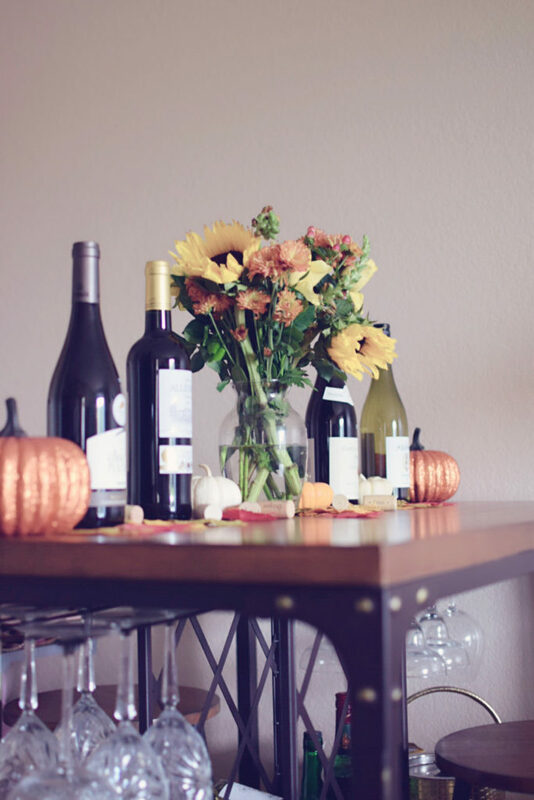 Since it’s so affordable and easy to drink, this would be perfect to sip on while watching all of your favorite fall TV shows, too! for this one! After a bit of research, I found that Ventoux is a wine region in the southeast of the Rhone Valley which produces grapes like Carignan, Grenache, Syrah and Cinsault. The wines from this region are smooth yet bold, with flavors ranging from strawberry and spice to leather and truffles. These food-friendly wines pack full body, medium to high tannin, medium fruit, and low acidity. The blend I’m sippin on this holiday season is a mix of Carignan, Grenache and Syrah. Wine Awesomeness says that it tastes like fresh earthy mushrooms, rye bread and strawberry jam with soft tannins…sign me up! I couldn’t make a holiday wine list and leave out the most cozy winter wine, a Bordeaux. Red Bordeaux wines are blended wines featuring Cabernet Sauvignon, Merlot, Cabernet Franc and Malbec, but the most popular blends are made with Cabernet Sauvignon and Merlot. These blends are rich, bold wines that will warm you from head to toe and wrap your mouth in tannins. Typically, these wines will have medium acidity, full body, medium to high tannins and lots of black fruit flavor. They are even better when paired with the right foods, so grab a bottle or two and bless your tastebuds. Now you are officially ready for the holidays (and if you’re like me, also craving mashed potatoes)! 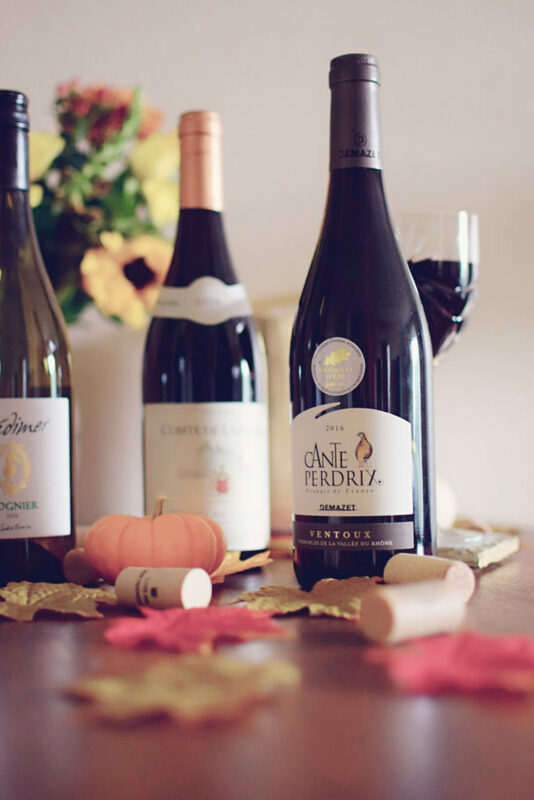 If any of the wines I mentioned above sound good, don’t forget that you get 50% off your first order at Wine Awesomeness through this link, so stock up! Thank you so much for reading, and I hope this was helpful. What wines are you drinking this holiday season? Thanks Marissa, so glad you liked this piece! I’ll be drinking the first one! Smooth, high in alcohol and pairs with Mac n cheese! Good choice, Douglas! Thanks for stopping by.